Home > Global Affairs > Europe > Why is Bulgaria’s population falling off a cliff? Bulgaria is projected to have the fastest-shrinking population in the world. It’s already lost a fifth of its population since the 1990s. But what does this mean for those who remain? Deep in the Bulgarian countryside, in the western province of Pernik, I make a rare discovery. It’s not Stoyan Evtimov’s traditional embroidered woollen tunic that makes him unusual. It’s the fact he’s a thirty-something living in a village. “All my friends that I grew up with here left long ago,” he says. Like many young Bulgarians, they moved to towns and cities in search of work. 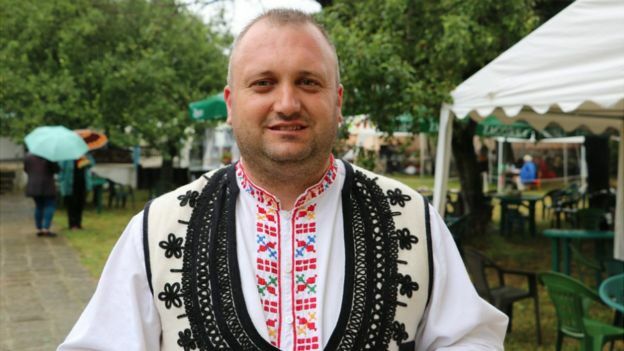 Stoyan considers himself lucky to have employment in the mountain village of Peshtera, leading its folk-singing group and organising an annual music festival in an attempt to revive traditional marriage music, and the village. Even so, he is finding village life unsustainable. “It’s impossible to find someone to marry here in the village, or the villages around, simply because there are no young people. The only chance for me to find someone is in the town,” he says. 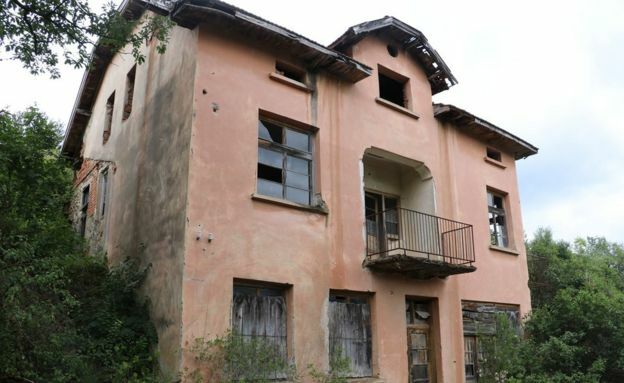 Bulgarian villages have been losing people for decades. When the Communists took power after World War Two, they brought in collective farming and many agricultural workers found work in new factories. After Communism fell, in 1989, and collective farms were broken up, that trend of leaving the countryside for the towns sharpened. And many people don’t stop there: they continue their search for work abroad. In 1989, almost nine million people lived in Bulgaria. Now, it is a little over seven million. By 2050, that number is projected to be less than 5.5 million. By the end of the century, it could be close to half what it is now. This exodus contributes to another factor in Bulgaria’s dwindling population numbers – in part because a lot of young adults have left the country, the birth rate is low. The last time a baby was born in the village, recalls shopkeeper Stefka – whose own two sons have moved away to the city – was a decade ago. The little girl and her mother now live in Cyprus, she adds. The vast majority of the people Stefka serves are over the age of 60. The shelves are sparsely stocked, she says, because there aren’t many customers, and she worries the shop will have to close. Higher up the mountain, the village shops have already shut, along with schools and bus services. 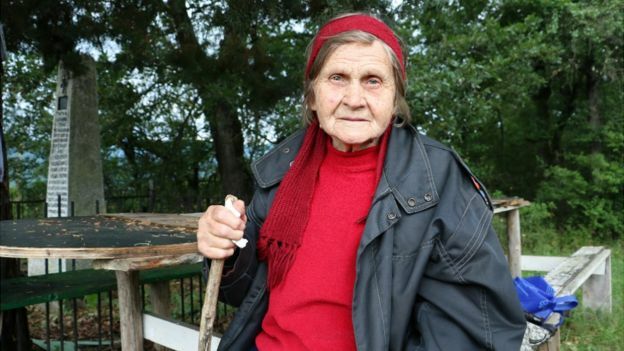 In the village of Smirov Dol, Stanka Petrova – Granny Stanka to those who know her – sits under a tree at a bend in the mountain road, patiently waiting for the mobile shop, which serves the area. “I was born in this village, and I remember the village when it was really full of people. It was such a fun and nice life. Young people, old people,” she says, explaining that this is the spot where people would come together and enjoy traditional dancing. “There is no-one in the village, so of course nothing like that can happen now,” she says. Does she get lonely? “Of course I’m lonely. It’s very hard,” she says, tearfully. The people in Kalotinsi and surrounding villages buy their groceries from a mobile shop that visits three times a week. 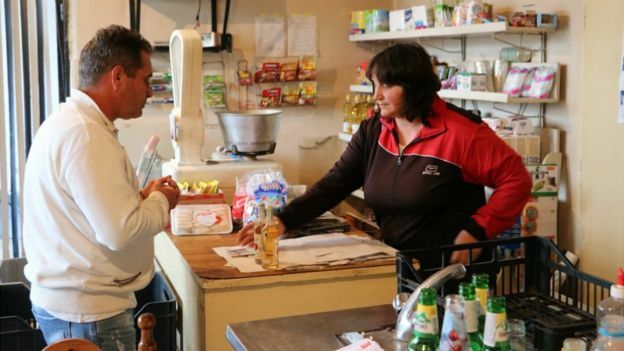 The service is run by middle-aged husband-and-wife team Atanas and Lili Borisov. Their unmarked van is well-stocked with everything from bread and yoghurt to cigarettes and beer, and even medicines. In 10 years, they’ve never missed a delivery, even though in winter the mountain roads are covered in snow. “Because there are few people, we are friends with all of them, so we’re trying to help them with all that we can,” Lili says. It’s obvious they’re popular with the people they’re serving, but Lili says customer numbers, and profits, are dwindling. 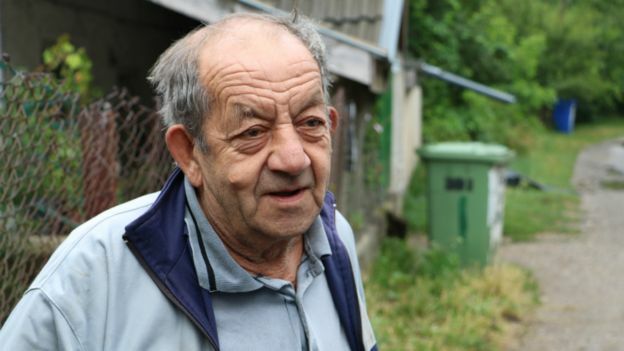 In business and personal terms, the mobile shop is at the sharp end of the depopulation of Bulgaria’s countryside. The government is introducing a number of measures to try to tackle depopulation by increasing the birth rate: offering help with the costs of fertility treatment, giving childcare, and mortgage support. It is also encouraging ethnic Bulgarians who live abroad to return to the country, but no-one else. 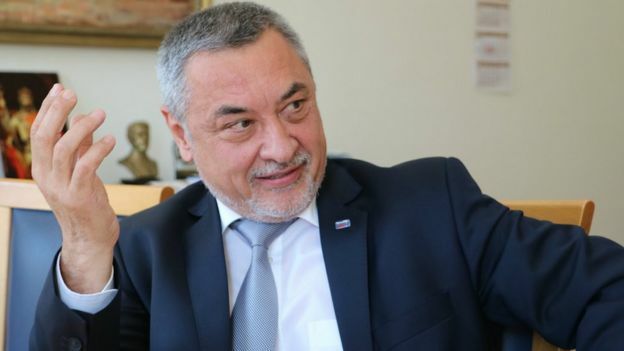 “Bulgaria doesn’t need uneducated refugees,” says Deputy Prime Minister Valeri Simeonov, a leader of the United Patriots, an anti-immigrant grouping forming part of the coalition government. Nor would Bulgarian society accept educated and skilled migrants, Mr Simeonov says. 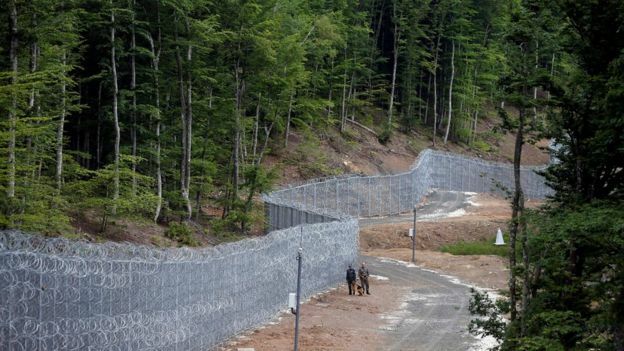 Mr Simeonov is referring to a razor-wire fence that Bulgaria has been building across its 260km (160 mile) border with Turkey to discourage immigrants from trying to enter the country. According to figures from the European Commission, Bulgaria had taken in only about 50 of the migrants who arrived in Europe from North Africa and the Middle East between 2015 and July 2017. It is clear that the Bulgarian government does not see immigration as a possible solution to the country’s dwindling population. Although the government is full of ideas to boost the number of Bulgarian babies being born, in the countryside the feeling is that politicians talk, but don’t act. Before I left the mountains, I bumped into Boyan again, the man living in Kalotinsi, which has shrunk from being a village of 600 people to one of 13. “We are abandoned,” he says. “Abandoned from everyone – from rulers and from God. “Politicians will not do anything for us. They’re just interested in their own interests. They don’t care about the people – especially the old people in the villages. They don’t even care about the young people because the young people are abroad.